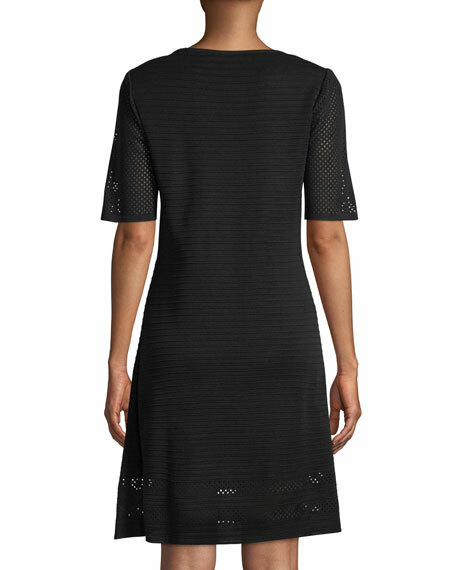 Misook dress in ottoman knit with mesh-knit sleeves and hem. Approx. 38.5"L down center back. 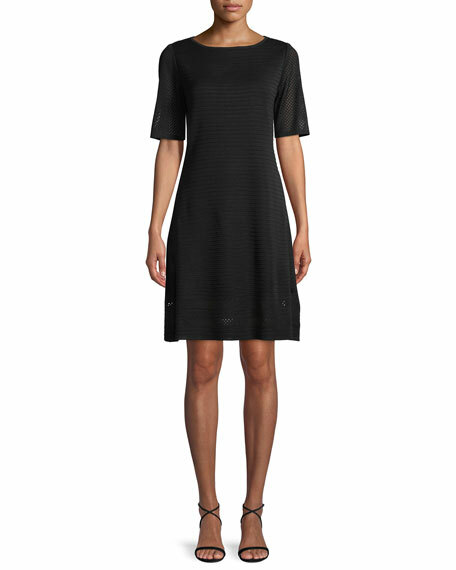 For in-store inquiries, use sku #2494650.